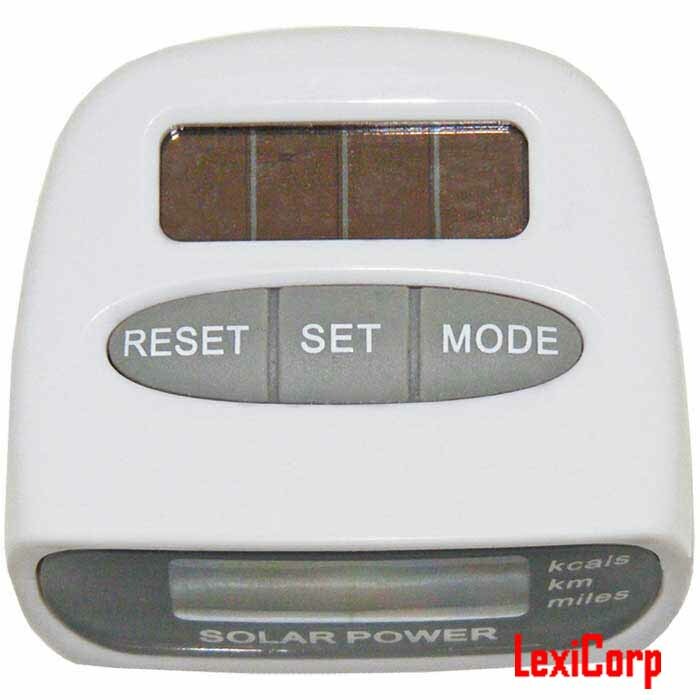 1. solar power, energy saving and environmental protection. 2. one minute timing shutdown. 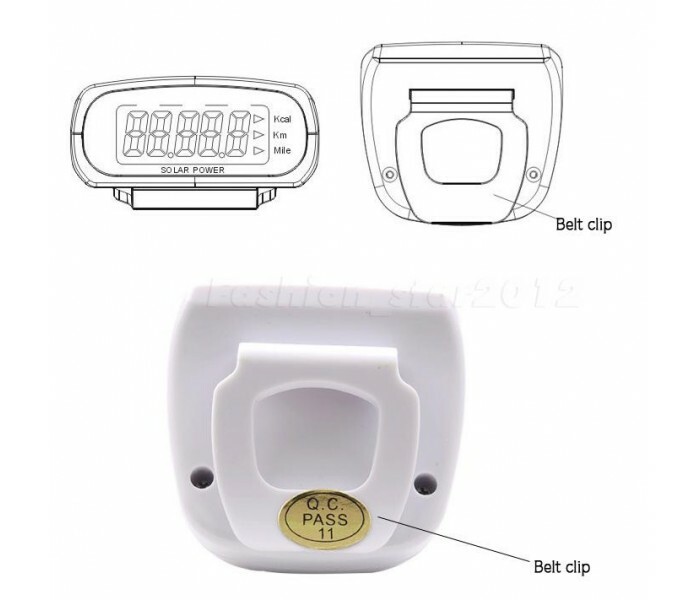 3. the consumption of heat range of 0 - 99999. 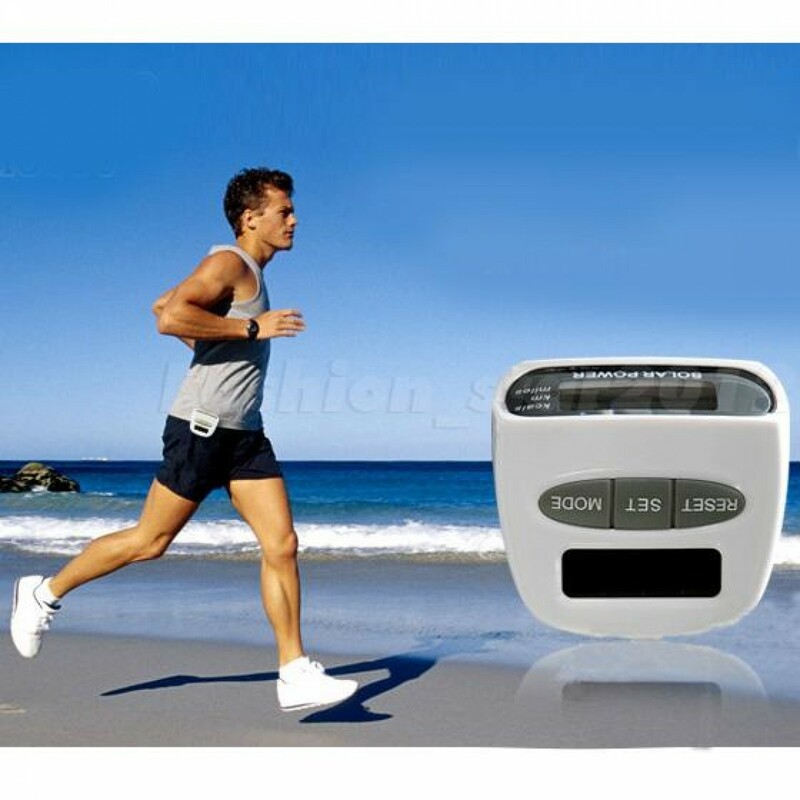 1. the system still 1 minutes step counting function automatically turn off, then press any key or shake the pedometer can boot. 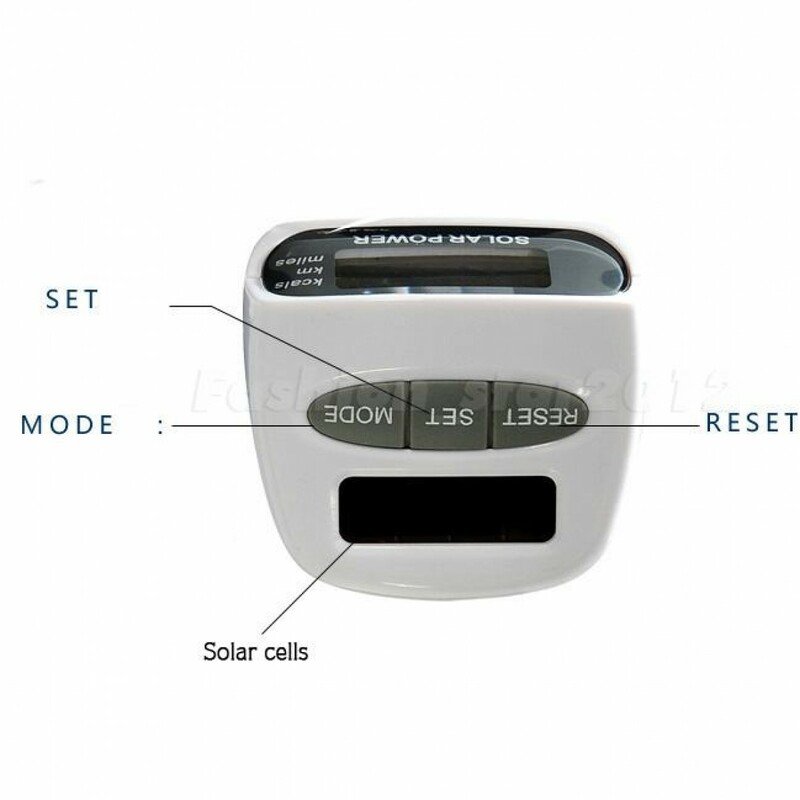 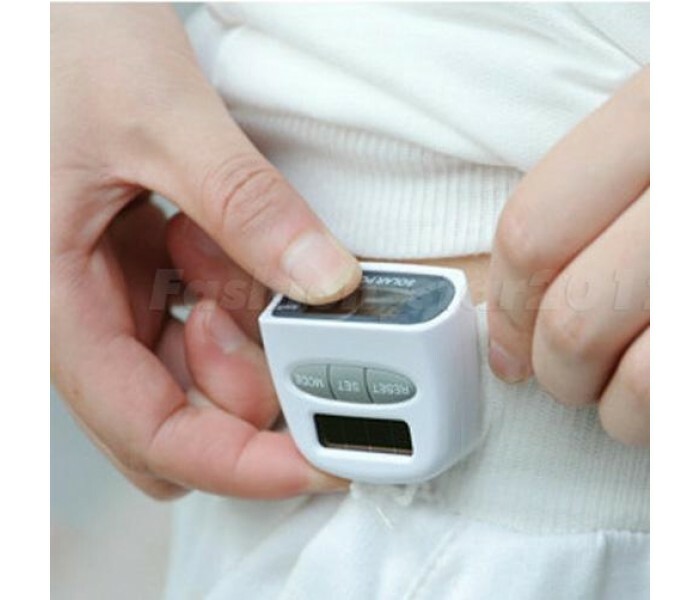 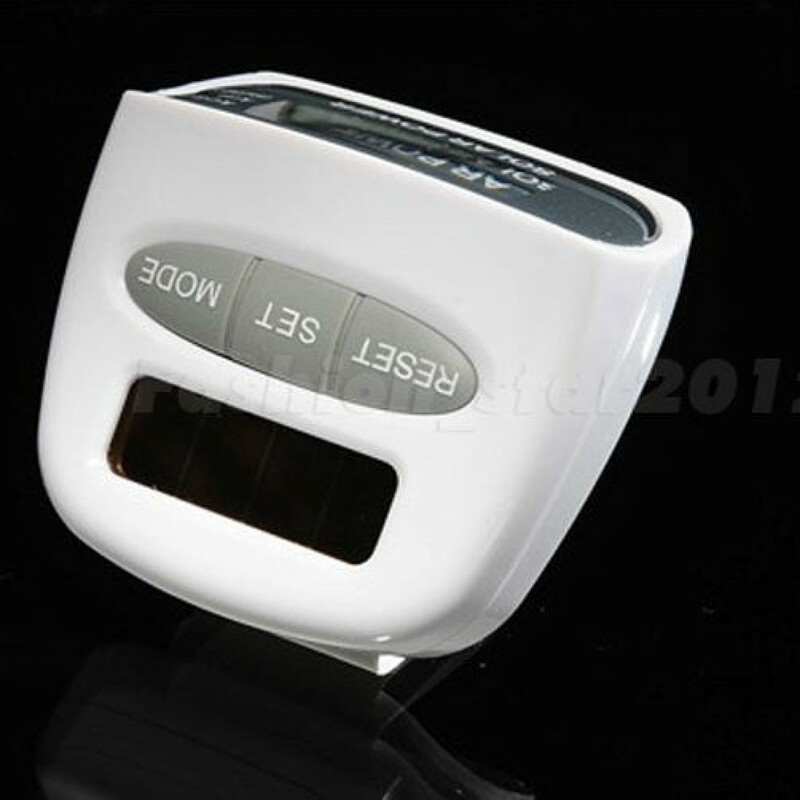 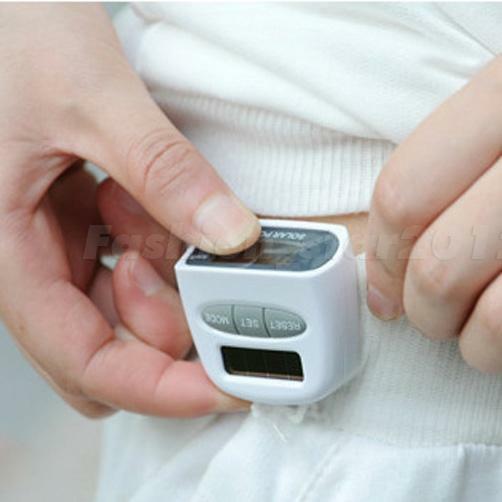 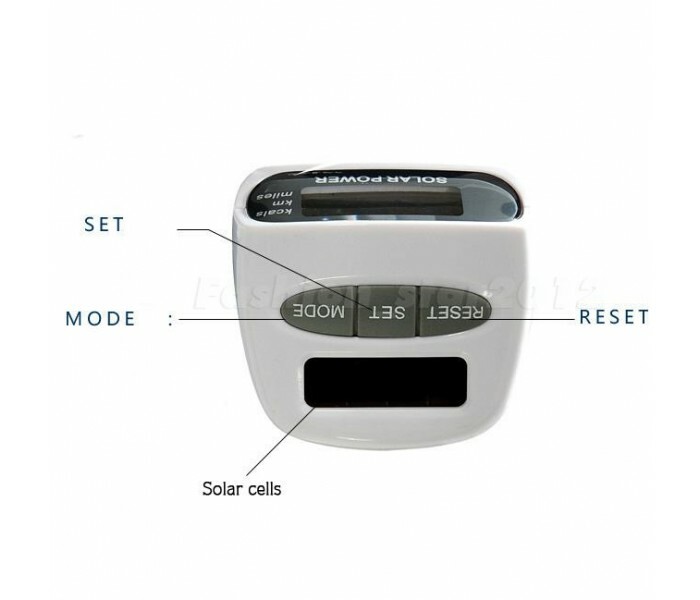 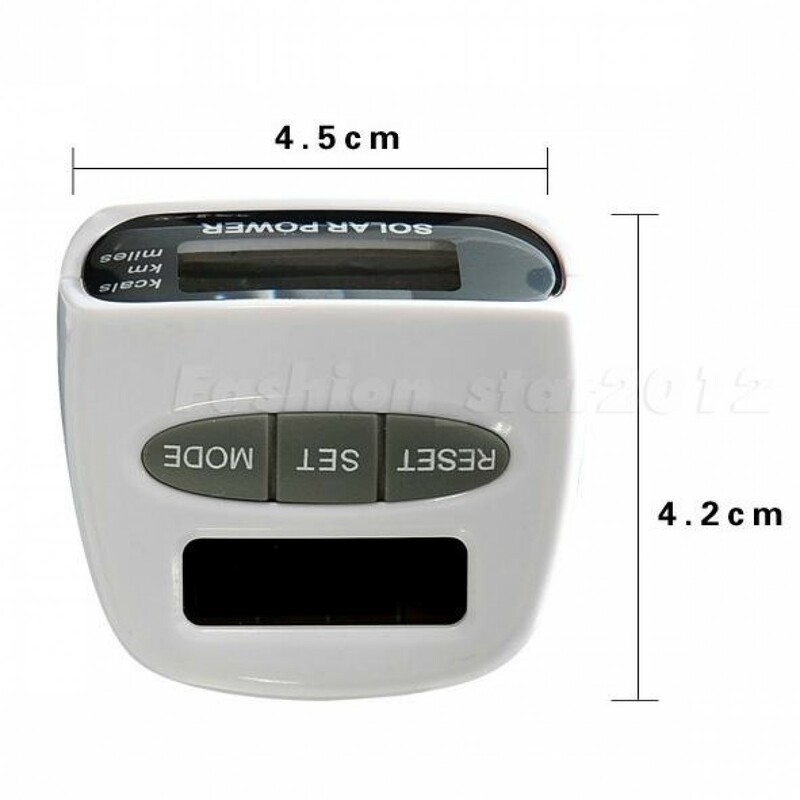 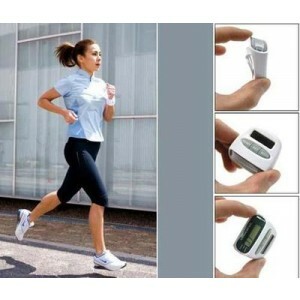 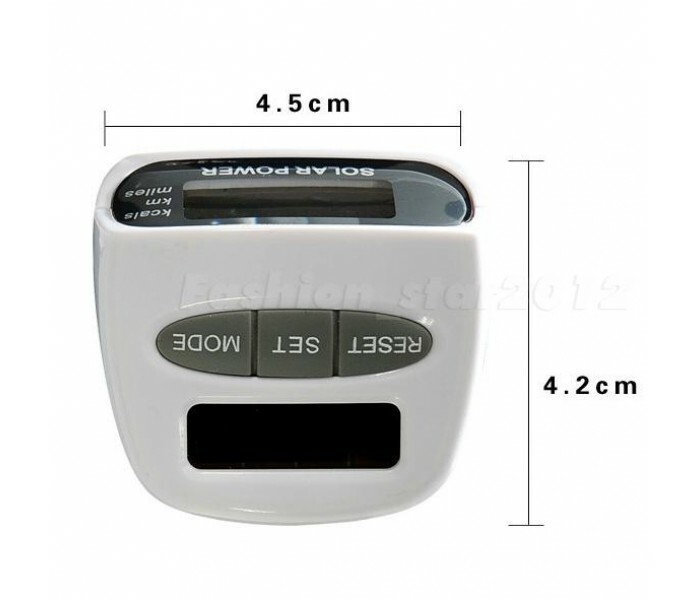 2. pedometer state press MODE, system will cycle display recording step number, miles, kilometers, number of calories; arbitrary display mode by pressing the RESET key, can be record in sports value clearance. 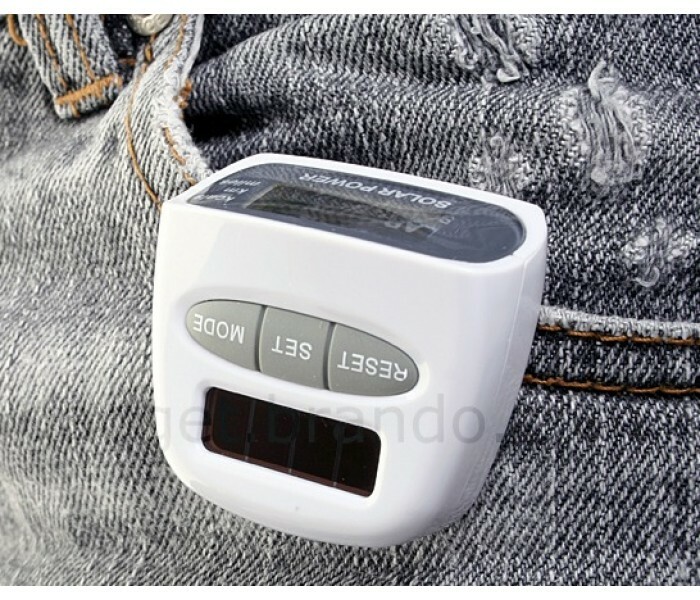 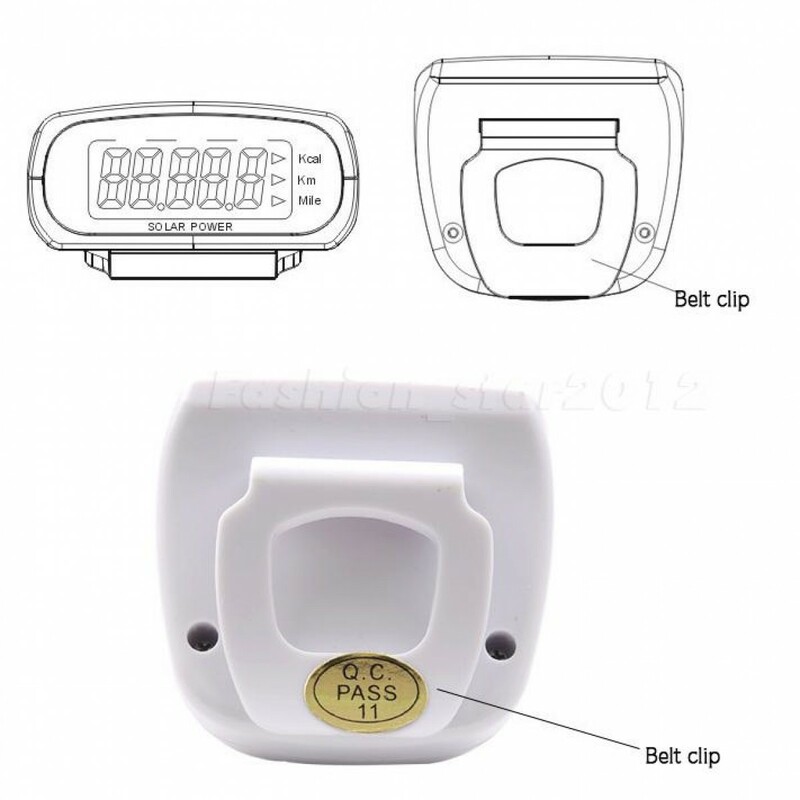 3. set a good step size, weight, it pedometer snap on leather belt and keep the horizontal and vertical position, can be used, according to a RESET key to eliminate motion records. 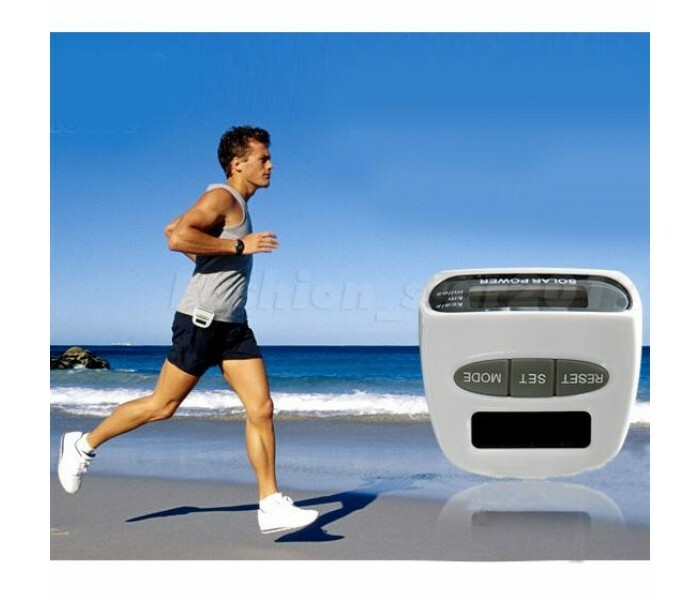 4. number of steps, distance, calories in either numerical value to a maximum value, the item will be reset to zero, and recalculate. 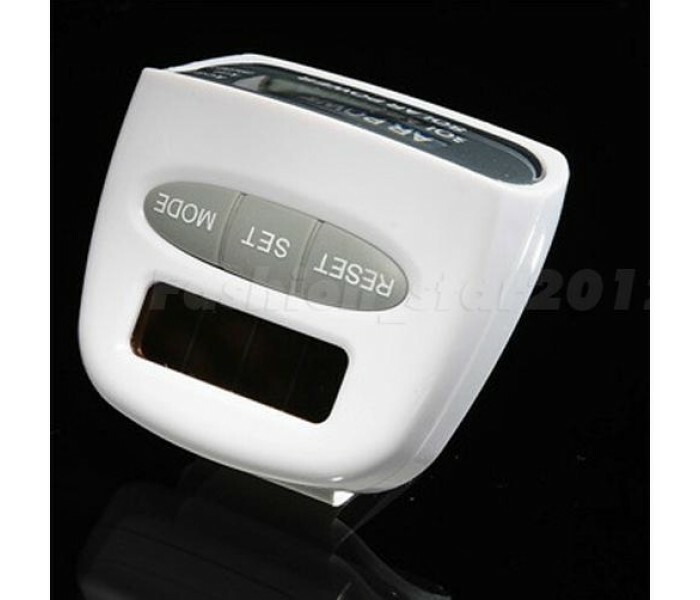 Did not reach a maximum value will continue to accumulate. 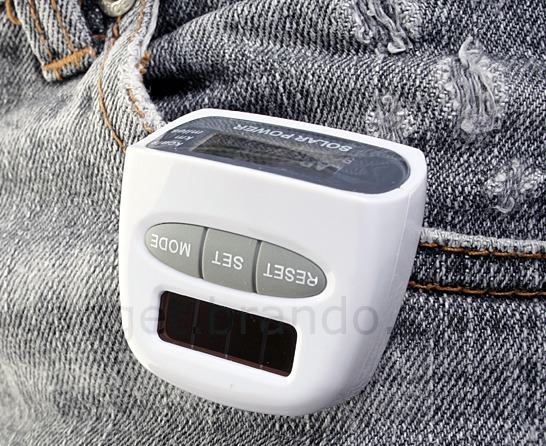 Abnormal wear will affect the pedometer accuracy. 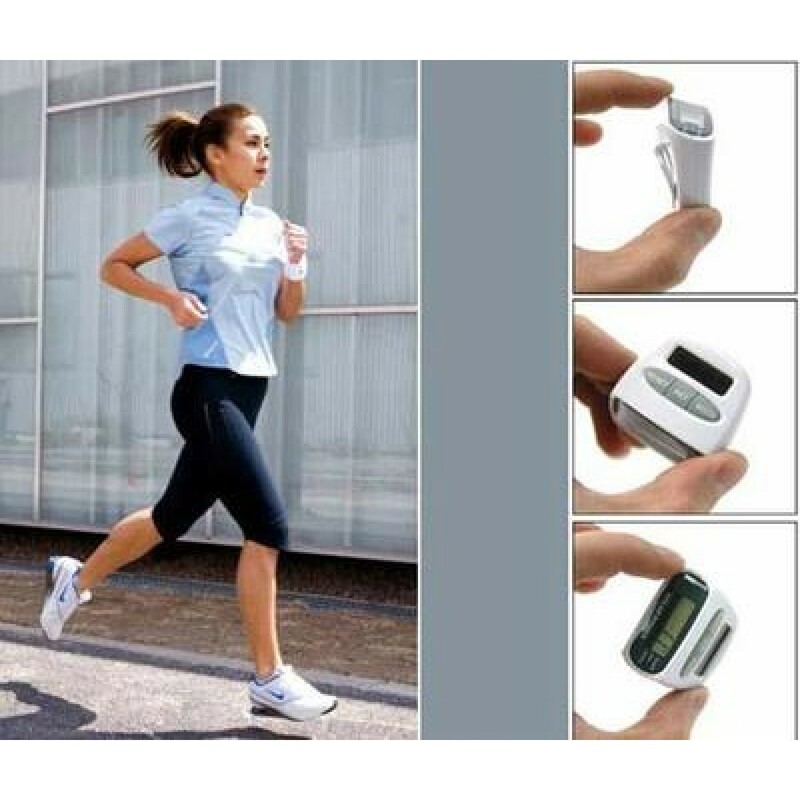 First need to clarify why set step size and weight, accurate setting step allows pedometer accurately calculate you how far away the distance, while the weight of this is can calculate how many calories you consume, well below specific to talk about how to set. 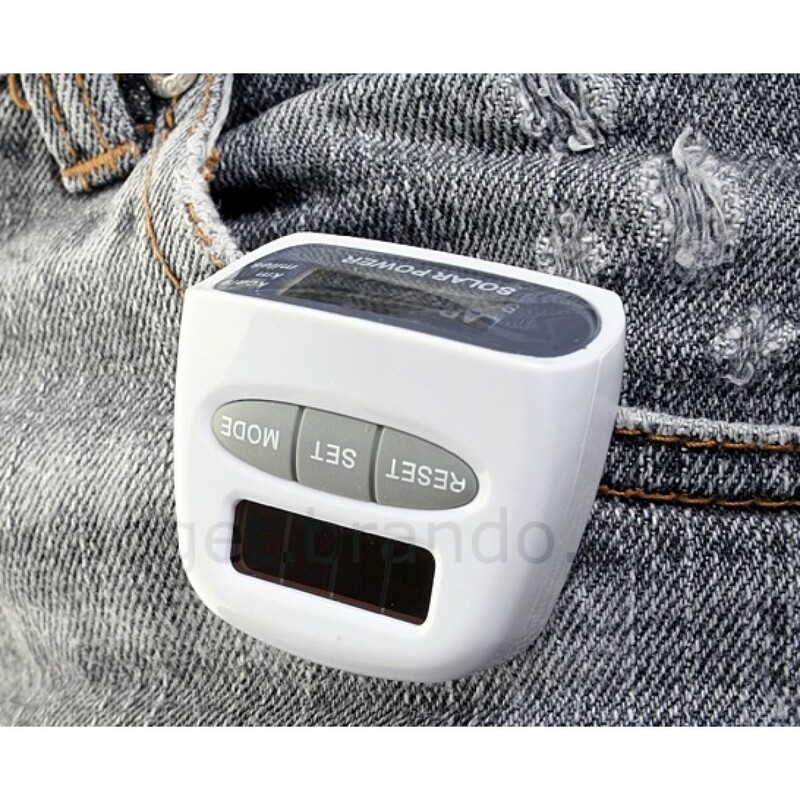 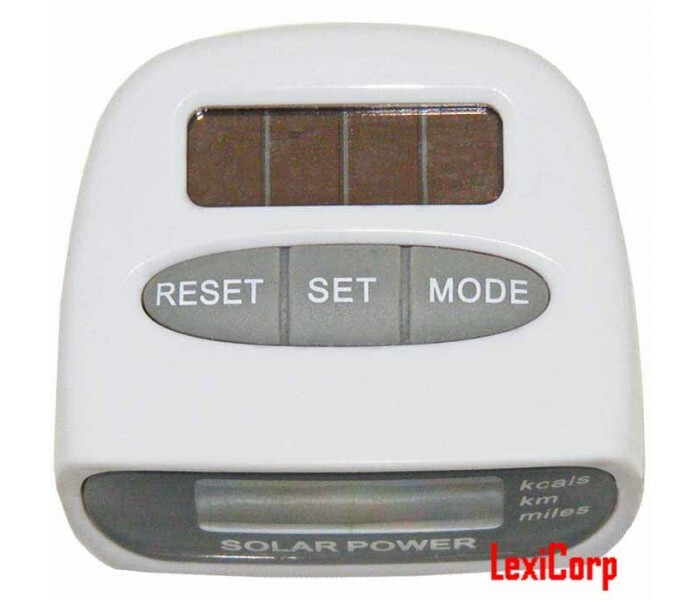 Then press the "SET" button on the pedometer, will shift according to the unit is the " L" file, (L file that is step gear ), then press " MODE " button, click each numerical increase of 5CM, repeated by, to the nearest you measure step on. 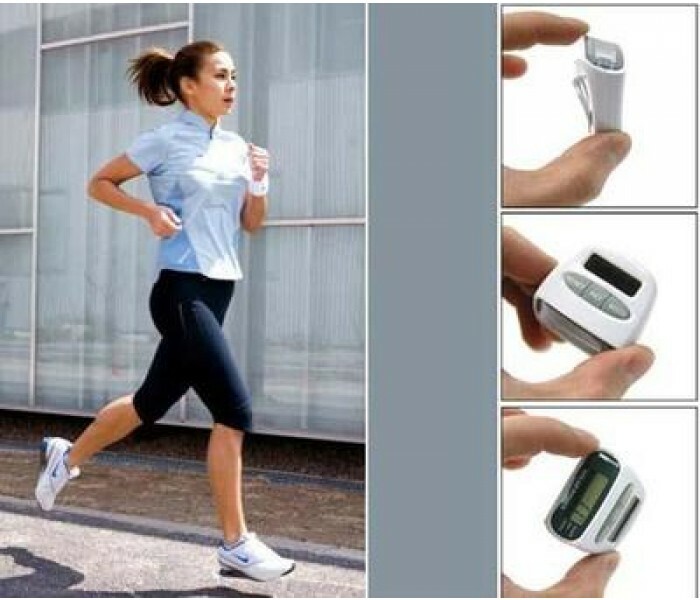 Then press the "SET" button on the pedometer, will shift to the unit is " " " gear, ( " file that is the weight of the gear), then press " MODE " button, click each numerical increase of 5KG, repeated by, to the nearest you measure weight.